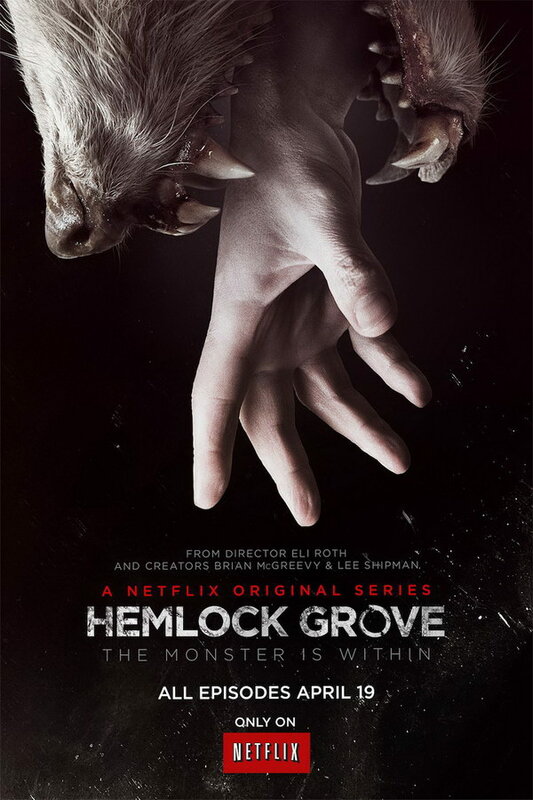 Hemlock Grove font here refers to the font used in the title of Hemlock Grove, which is an American thriller television series first broadcast on Netflix in 2013. The font used for the TV series title is probably Gotham Bold designed by Tobias Frere-Jones in 2000. The font is a commercial one and it is available for purchase at Typography.com. In addition to Hemlock Grove, Gotham typeface is also used in the following logos, movie posters or album covers etc., including: The Kissing Booth, H1Z1 (video game), Miss Movin’ On, Saturday Night Live, Flipped, Carry You, Myx Fusions, Clover Sonoma, The Giver, Feeding America, Loud Planes Fly Low, Open Happiness, Colors (magazine), Beyond: Two Souls, The Phantom Pain.